While we certainly encourage the recycling of metal as much as possible, the fact of the matter is that there are some metal products which cannot be recycled. These products are not recyclable for a number of reasons, but in most cases, they’re non-recyclable because they’re inundated with chemicals. While there are exceptions in some cases, in most cases, the below products are not capable of being recycled. In the vast majority of cases, motor oil containers are not capable of being recycled. After being in contact with oil for months or years, these containers become inundated with harsh chemicals. These chemicals are not conducive to the metal recycling process. Generally, you’ll have to dispose of these containers by dropping them off at a waste dump. Kitchen pots are an interesting case when it comes to recycling. If a kitchen pot is covered with any sort of chemical coating, it cannot be recycled. If, however, it is void of this chemical coating, it is fair game. For instance, Teflon is often used on pots to prevent them from sticking to food. While Teflon is a beneficial chemical, it cannot be successfully recycled. In terms of recycling, kitchen pans work in exactly the same way as pots. If they’re covered with any sort of chemical film, they are not capable of being recycled. However, if they are manufactured only with metal, recycling centers will accept them with open arms. Paint cans work in much the same way as motor oil containers. Because they’re in constant contact with paint for months or years, they begin to take on some chemicals which are not allowed in the metal recycling process. There are, however, some exceptions (ie. paint cans which have been completely eradicated of paint particles). While tons of people attempt to recycle them, propane tanks are not capable of being recycled. Like with paint cans and oil containers, they become so inundated with the substance they’re holding that they can’t be separated from this substance. In fact, propane tanks can actually be dangerous to recycle. If, while in storage, they leak any propane, they can potentially start fires or explosions. Have a propane tank to dispose of? You’ll have to take it to a hazardous waste dump. While mercury isn’t used in production quite as much as it used to be, there are still products out there which contain mercury. These products include everything from fluorescent light bulbs, to batteries, to thermometers, to jewelry, and more. Never, under any circumstances, are mercury-laden products allowed to be recycled. Mercury is a potentially dangerous chemical which can cause a serious health issue if put through the metal recycling process. Like mercury, uranium isn’t used in a great number of products, but there are still products out there which contain it. Products which contain uranium include some smoke detectors, clocks, and silverware. These products are radioactive, meaning that, if they’re compressed, they can release gases which are harmful to human health. Instead, you’ll have to drop them off at a toxic waste dump. Have Metal Products Which Can Be Recycled? Maybe you’ve got some metal products which aren’t on this list? Perhaps you’re looking to recycle them? 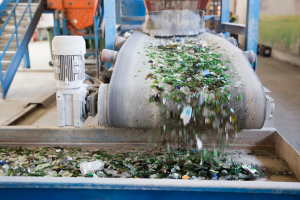 If so, and if you live in the Chicago area, we here at Central Metal Recycling can help you. We collect recyclable metals from clients of all sizes, offering payment on the spot. Our team of seasoned recycling specialists looks forward to serving you.